Join the Precision Helicopters crew on a flight heading out from their Urenui Base, along the coastline of North Taranaki, past the stunning White Cliffs. You will be shown Taranaki "hot spots" and areas of development that have happened over the last 20 years. You will then be flown over the "Three Sisters" and having reached the Tongaporutu River Mouth the trip will head inland, over the longest coastal wetlands, to an area that is as old as New Zealand itself -Jurassic Falls. These falls are only accessible by helicopter or foot. The helicopter will land and you can then wander around these natural native surroundings and dip your feet in the icy mountain waters at the base of the waterfall if you dare. Once you have finished your investigating and exploring it will be time to head down the Taranaki coastline - giving you a return glimpse of Taranaki and possibly over as far as Mt Ruapehu. Remember to brings camera, comfortable footwear, sunglasses, and if so desired maybe even a picnic! Leaving from Precision Helicopters Base in Urenui, your competent crew will fly you in towards New Plymouth, meandering along the beautiful coastline, pointing out spots of interest. The next place you will head to will be Oakura, having flown over the city itself before you head around Mt Taranaki. Weather permitting your flight can go right over the top of Mt Taranaki and you can gaze down upon the dormant volcano and on a beautifully clear day the Central Plateau and Mt Ruapaehu may be seen in the distance. Continuing on over the beautiful farming countryside you will head to wards the most southern part of Taranaki. Along the way you will see oil and gas sites and when heading back on the inland route wonderful rugged bush that inspires so many to tramp, hunt or be "one with nature". If you have a place of interest you are keen to fly over please tell the crew who will only be too happy to incorporate it if they possibly can. Remember to bring your camera as you may get the rare opportunity to get a photo over the top of Mt Taranaki and the beautiful countryside surrounding it. Your chance to experience Taranaki in a day. Join renowned pilot Matt Newton, Precision Helicopters as he gives you a day out you will not forget. Your day will start with your pickup in New Plymouth atabout 9am. 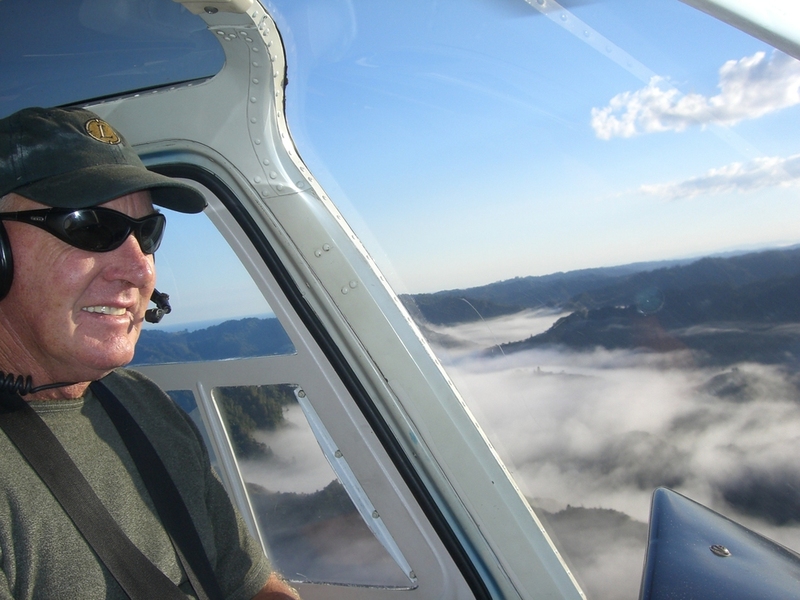 Over coffee on your way to Precision Helicopter’s base at Urenui you will hear more about the local landscape and the importance of dairying and oil and gas to the area. Once you reach the base a full safety briefing will occur and you will get a chance to look around the premises and hear about the varied work that can make up Matt’s day. From being Tom Cruise’s personal pilot when filming the Last Samurai to flying in medical prescriptions in emergencies and the day to day agricultural spraying the stories will be ones you remember for ages. Your flight will start with a breathtaking ride over Mt Taranaki. From the Stratford Plateau you will fly over Fanthams peak before spiralling around the volcano to the summit giving you fantastic views of all of Taranaki. From there you will cross over the Ahukawakawa swamp to Bells Falls and onto the Stony River valley. Heading back towards the coast you will fly over Oakura and observe the landmarks of the Pouakai and Kaitake ranges and Paritutu, all extinct volcanoes. From the urban sprawl of New Plymouth your journey will continue up the coastline to the mouth of the Tongaporutu River, then travel inland up the Hutuwai wetland (the longest coastal wetland in the North island). You will land at the base of the falls and have time for a walk or a swim or simply enjoy the tranquillity of the place. The rocks at the base of the falls contain ancient fossils which are truly amazing. Back in the helicopter you will continue to head north to the Mangatoi Station on the Mokau river. This is a great place to kick back and relax and breathe in the history. After your tour of the abandoned woolshed , village and coalmines Matt will cook you lunch and boil the billy, a feast well suited for the great outdoors. With over 400 Angus cattle on the old sheep station and an apiary harvesting manuka honey Matt will tell you about the farm and how it operates today. It will then be time to pack up and head back to the base at Urenui flying over some of the hill country that forms a backdrop to the rolling dairying country in North Taranaki.